Flush Stud, Projected Jam Nut Mount, Projected Spacer Mount, Corrugated Mount & Flat Metal Wall Mount (included in pricing). 3A - Double Rail Mount (Add 35% to brushed price) Includes painted or anodized aluminum c-channel rails. 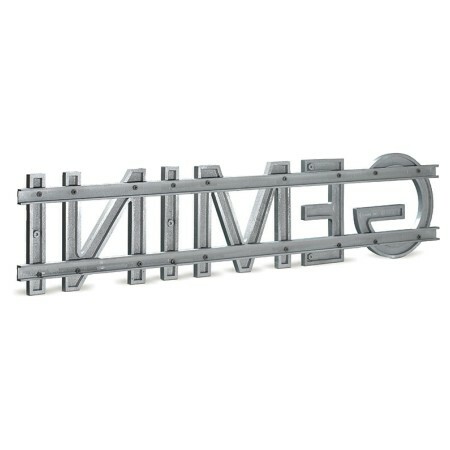 3B - Bottom & Top Rail Mount (Add 35% to brushed price) Letters 4"-30", Minimum 3/8" thick Includes painted or anodized aluminum c-channel rails. Letters over 8" may require tie-back (not supplied). 3C - Bottom or Top Stud (Add 15% to brushed price) Letters 4"-30", Minimum 3/8" thick Letters over 12" may require tieback (not supplied). 3D - Bottom Back Angle Bracket Mount (email for price) Letters 4"-30", Minimum 3/8" thick. Letters over 12" may require tie-back (not supplied). Angle iron is 2" x 2" with a painted finish. 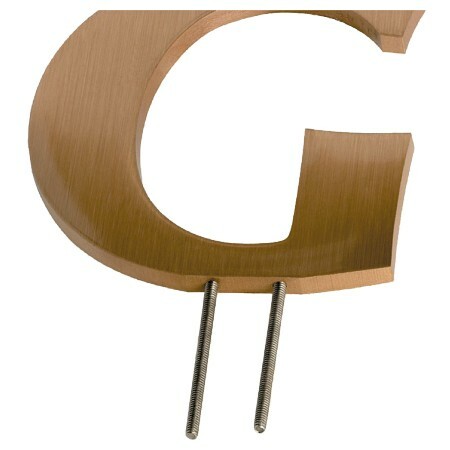 Bottom Stud w/Thick Back (Multiply the brushed letter price by 2) Letters 4"-24", Minimum 3/8" thick Includes painted or anodized 1/8" thick aluminum back. 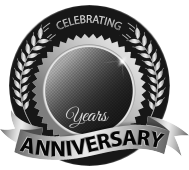 Letters over 8" may require tie-back (not supplied). Custom stud boss placement on cast add $12 per letter. Cast letters under 15" are shipped with 10/24 threaded studs-standard. (Thin strokes, 4/40 or 6/32). 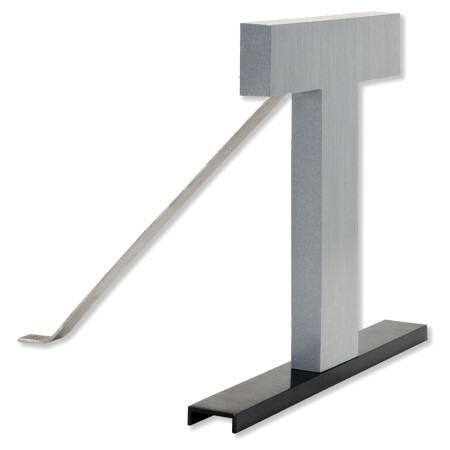 Cast letters 15" and taller are shipped with 1/4-20 studs standard. Cast Aluminum letters - Aluminum studs standard (Stainless steel available upon request). Cast Bronze letters - Stainless steel studs are standard. Metal spacers available upon request (just specify stand-off distance). Studs holes are in line for brick 2-5/8" center mortar as a standard. Also available in line for block 8" center motor. Contact deSIGNery Signs for mounting solutions! Click here!